Upper Darby municipal offices are located at 100 Garrett Road, Upper Darby, PA 19082; phone: 610-734-7620. The Swedes are thought to be the original settlers of the area now known as Upper Darby. The Swedish Cabin, thought by many to have been built circa 1654 and located on Creek Road along the Darby Creek, is designated with a Pennsylvania Historical Marker. The cabin is also on the National Register of Historic Places. Upper Darby Township was formed out of Darby Township in 1786. Settled by Quakers, some of the most important and influential families in the Township were friends of William Penn. The Sellers family built Sellers' Hall, one of the first homes in the area, and a part of it stands today as St. Alice Roman Catholic Church Library, site of a Pennsylvania historical marker. Another prominent family in the area was that of famed botanist John Bartram. Upper Darby was one of several municipalities that voted to secede from Chester County and form a new county. In 1798 Delaware County was formed with the seat at Chester City. In 1851 the seat was moved to Media, where it remains today. The abundance of creeks and streams in the area favored the development of mills and it was in Upper Darby that the first mills in Delaware County could be found. The mill trade greatly increased the population of Upper Darby, from just over 800 in 1800 to almost 5000 by 1890. Modern inventions found their way into Upper Darby. Runneymeade, the home of investor Christopher Fallon was the first home in Delaware County to use gas for lighting purposes. Philanthropist Anthony J. Drexel, after whom the Drexel Hill section of Upper Darby Township was named, later owned the home. The pre-Civil War era was busy time in the Township. Reflecting its Quaker beginnings, Upper Darby was active in the antislavery movement. Many homes in the area were "stops" on the Underground Railroad. Two regiments from Upper Darby took part in the fighting of the war, and one, the 106th, was involved in the bloodbath at Antietam. Two other Pennsylvania historical markers are located at homes of well-known abolitionists from the pre-Civil War era. Hoodland, now the Sellers Library, was the home of one abolitionist, Abraham L. Pennock. Another well-known abolitionist, Thomas Garrett is honored at his home called Thornfield. 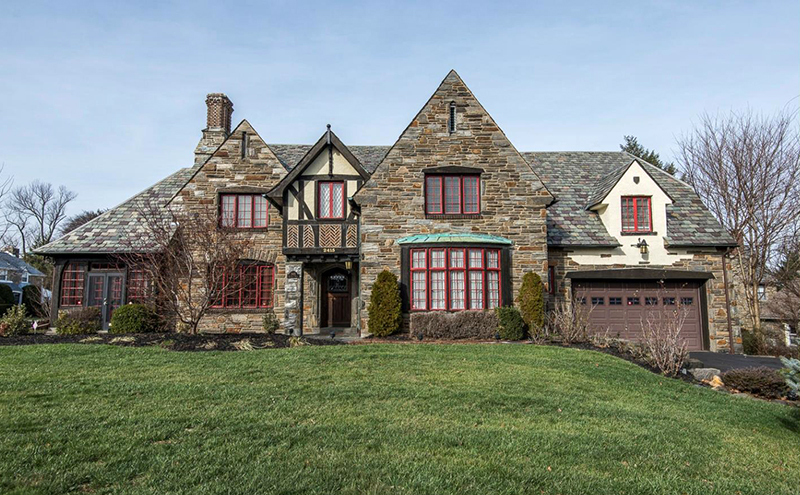 The home still stands today and is located on Garrett Road in Drexel Hill. The original owners of Collenbrook Farm (1700) were the Lewis Family. This is the site of the 6th Pennsylvania Historical Marker for Upper Darby Township. It is located along the Collenbrook Creek in the Aronomink section of the Township. Dr. George Smith married into the Lewis Family in 1829. He was to become one of the most influential people in the history of Delaware County. His influence made it possible for Upper Darby School District to be "the first School District in Pennsylvania" in 1834. This was probably a result of Smith's support of the Abolitionist Movement. The 20th century saw a population explosion in Upper Darby. By the 1960's it ranked as the 7th most populous municipality in Pennsylvania, eclipsing such towns as Harrisburg (the state capital), Chester, and Bethlehem. In 1907, the Philadelphia Rapid Transit Company recognized the potential for growth in the Township and extended the Elevated line to 69th and Market Streets in Upper Darby. The development of the 69th St. shopping district in the 1920's by John McClatchy made Upper Darby the second busiest shopping area in the region. Only Center City Philadelphia surpassed it. The construction of the 69th St. Terminal made the Township a major transportation hub for Philadelphia and the western suburbs.